The Japanese word Aikido is written with three characters which translate as "the way of spiritual harmony." Aikido is evolved in the tradition of Japanese warrior arts, yet has a unique approach to self defense. Aikido is more than a martial science of strategy and tactics, it is a discipline for training the mind and spirit. Students train to neutralize the energy of the opponent's attack and to redirect and focus it into techniques of martial efficiency and power. At the same time, the student can use the same philosophy to deal with stress and conflict in daily life, and learn to remain calm under all conditions. Clyde Takeguchi Shihan is the founder and director of Capital Aikikai. Takeguchi Sensei is a shichidan - a seventh degree black belt - and a Hombu-certified shihan instructor. He began his study of aikido in 1958 in his native Hawaii. He has taught aikido at the police departments in Honolulu and Madison, as well the US Customs Academy in Washington, DC. Capital Aikikai was founded in 1973 and has been providing a continuous program of Aikido training in the DC-Maryland-Virginia area ever since. 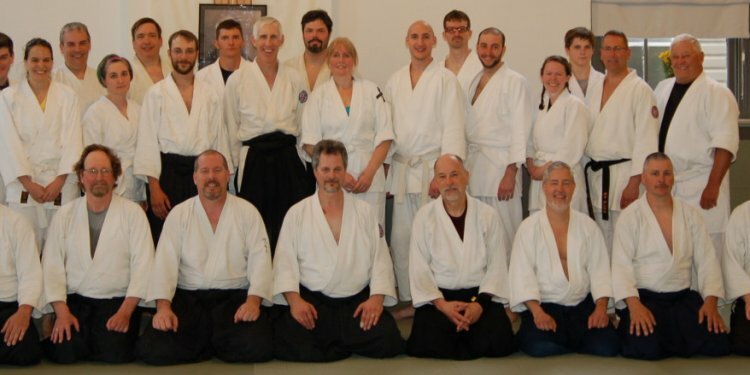 As a not-for-profit corporation, it welcomes all people who wish to practice Aikido. In the fall of 2012 we moved into a beautiful, completely renovated space. We are located in Silver Spring, MD, just north of Washington, DC. The dojo is easily accessible by car, bus, and Metro (subway).